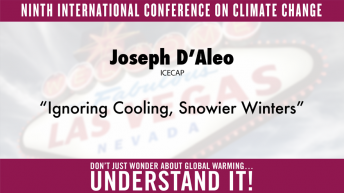 Joseph D’Aleo has more than three decades of experience as a meteorologist and climatologist. 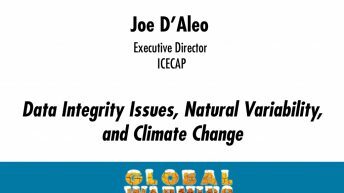 He is currently executive director of Icecap, an organization and Web site devoted to climate change issues (http://icecap.us ). 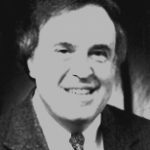 He was a professor of meteorology for six years at Lyndon State College (in Vermont) and from 1981 to 1988 was the first director of meteorology at the cable TV Weather Channel. 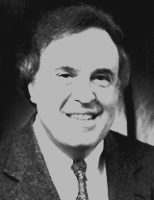 From 1989 to 2004, he was chief meteorologist at WSI and senior editor and ‘Dr Dewpoint’ for its popular Intellicast.com Web site. He was a weather producer for ABC’s Good Morning America while planning The Weather Channel with John Coleman. He is a certified consultant meteorologist and a fellow of the American Meteorological Society. 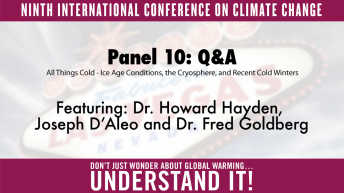 He has served as chairman of the American Meteorological Society’s Committee on Weather Analysis and Forecasting and has chaired or co-chaired several national conferences. 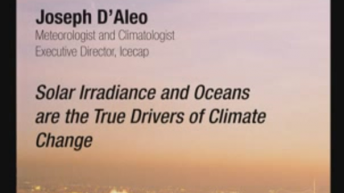 He has written a book and presented papers on how research into ENSO and other atmospheric and oceanic phenomena and solar cycles has made skillful seasonal and even decadal forecasts possible. 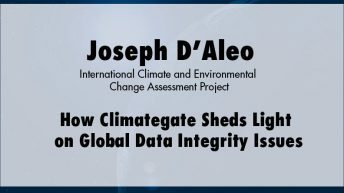 He also has authored many articles and made numerous presentations on the roles cycles in the sun and oceans have played in climate change.